Luxury men's lounge shorts, perfect for relaxation both inside and outside the house. 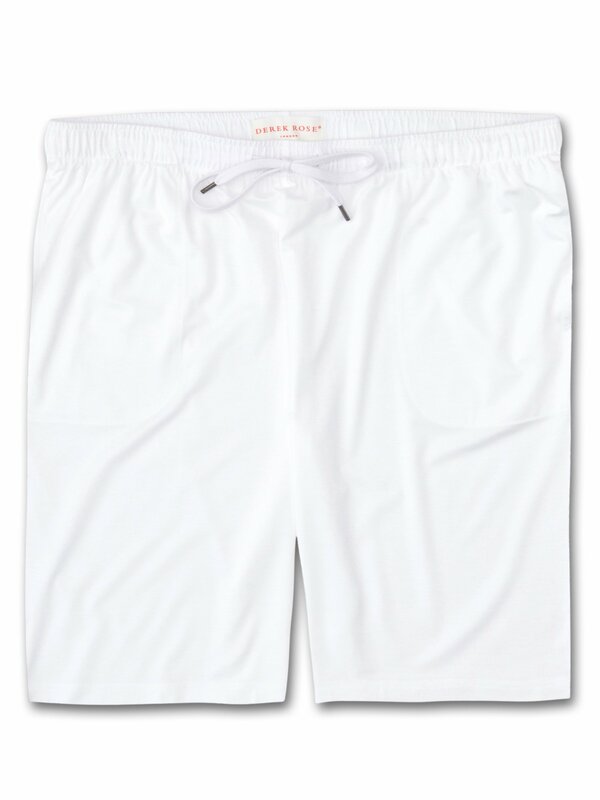 In white, they are a versatile casual wardrobe staple, perfect for sunny summer days. Model is 6'2" with a 32 inch waist and wears size medium.